Let’s all take a quick breath. Print isn’t dead. Yes, it is changing, but this change will be better for authors. Print is moving over to let digital have space beside it to increase the reach of authors to their readers. Don’t get fooled into believing it is a war between digital and print. It isn’t. These two avenues will benefit authors in publishing their manuscripts. Think about it. Once you had only one avenue, the print side. Now, you have the digital side added to increase your exposure to readers. It’s another way to get your book out to the masses. You have people who like digital…they love to read on their readers, pads and computers. But, guess what? You still have people who like to hold a book in their hands and read. 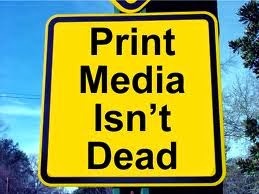 So don’t be fooled into thinking print has gone by the wayside. It is still alive and doing well. In case you have forgotten, authors also have another avenue to reach more people interested in books. Actually, they've had it for a while. But, I guess the majority of authors never thought to use that avenue. What is it you ask? Audio. 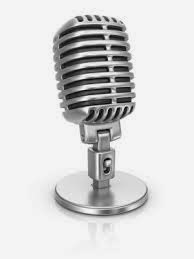 Authors are now seeing where audio is a possibility for them. Now to me, that gives authors three strong avenues to reach a whole lot of audience. If your book is good, your audience will be buying in more than one of these avenues. So, you are wondering what the message is? Don’t sell yourself short. Embrace all three avenues. Use them for your benefit. The more access you offer to your wonderful book, the bigger your fan base.